Almost everyone takes part is some kind of water based activity these days. One of the biggest challenges we all face in these situations is how to keep some things dry! Hence the huge growth in demand for waterproof back packs and dry bags that can cater for a wide range of situations. When you buy a waterproof backpack you will want one that is guaranteed to keep your clothes and valuables dry. This includes phones, cameras, documents, food and equipment. When we designed the 30L SKORCH waterproof backpack we selected the most appropriate size for the widest range of activities. We also selected the material which offered the best combination of water proofing, light weight, and great looks. 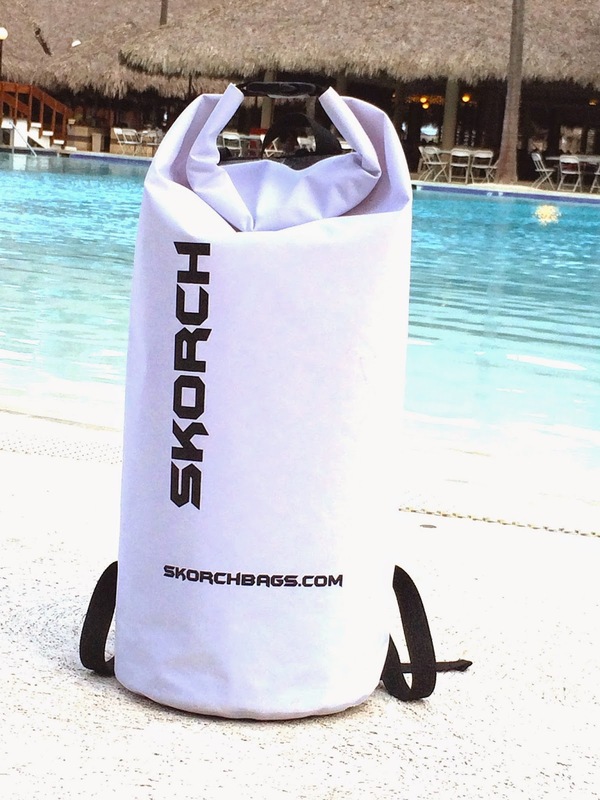 As well as looking fantastic now the SKORCH bag is easy to wipe clean and will continue to look great for years to come. We are happy to offer it at a special price because we know that when you receive yours, you'll want to order more for all your friends and family too. We like our waterproof backpack! My youngest son, Andy grabbed it as soon as it arrived!! He carries it every day to school. He has been rained on a few times and nothing in the bag got wet! It is easy to clean and is very durable! Should last him a long time! I give it a 5 out of 5! Giveaway~ Enter to win your very own Waterproof Backpack below via the raffle copter form. Book Mark the page and come back daily to earn more daily entries! 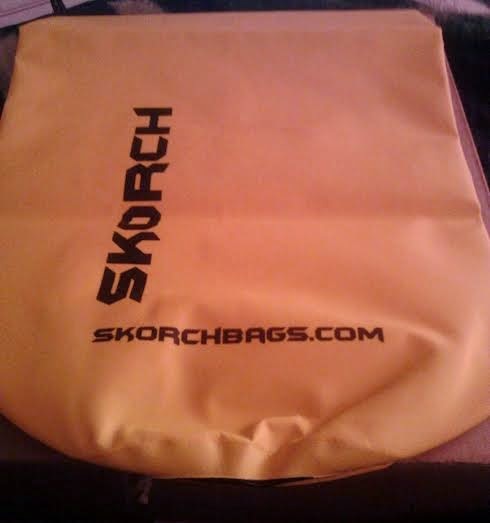 disclosure~ I received a Skorch waterproof backpack in order to write up my review. WHEN WE GO OUT ON THE BOAT WOULD BE GREAT JUST IN CASE. I'd use it at the pool. When traveling with children for a dry outfit, if needed. I'd use it when I go to the beach or the pool! We love going to the lake in the summer time and this would be perfect so everything doesn't end up wet. This would be perfect for trips to the lake or trips to Dollywood. We like to go on the water rides and this would keep our stuff dry when we ride them. We live in Florida so we would use this everywhere....the beach, the boat and the pool! It would even be great during hurricane season for important documents in the worst case scenario. going out on the boat!! also the pool! We would use it at the beach mainly. My husband would use it when out in the field for work. I need it at the beach and pool for our swim suits. I would use it boating and canoeing. If I won, I would use this when we go camping. I would use it when my husband and I go hiking at Red Rock Canyon or The Valley of Fire. This would be prefect to use for fishing and camping. We would use it to go fishing and camping at the lake! We would use it at the beach. I would love this for hiking and backpacking! It would be great for the beach! Keep out the sand and water! I would use this when I went to pool or the beach. I love that it guaranteed to keep your clothes and anything you value dry. I would use this when I go to the beach! :) kristiedonelson(at)gmail(dot)com Thank you. We love to kayak, and this would be very useful. I would use it when we go camping. I want to go rafting and this would be great. I'd use it to hold my clothes, sunblock, and other supplies when I go snorkeling or scuba diving! I would love to win and use this super cool bag for beach and camping! I would use this when I go to the lake! :) kristiedonelson(at)gmail(dot)com Thank you. I'd use it at the amusement park for the water rides. I would love to win and use it for swimming. I want to take it rafting.